ork University, founded in 1959, is Canada’s third largest university, known for its legal, business, and liberal arts programs. 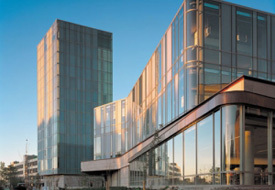 Its Schulich School of Business, established in 1966, is Canada’s leading business school. Its location in the greater Toronto area, makes it easier to recruit the finest students from all over the world. In addition, the school’s faculty is renowned for their constant innovative teaching methods. In the latest release of the Financial Times’ Global MBA Rankings 2009, the school was highly placed at No. 48 (Global MBA Rankings 2009, Financial Times, http://rankings.ft.com/businessschoolrankings/global-mba-rankings). In addition, the school was also awarded as one of the world’s best business schools of 2008 by Business Week. (The Best International B-Schools Of 2008, Business Week, http://bwnt.businessweek.com/interactive_reports/mba_intl_2008/index.asp).